Justice A. R. Mohammed of the Federal High Court sitting in Maitama, Abuja, on Friday, July 1, 2016 granted bail to Obaje Musa Mohammed, one of the three accused persons charged for conspiracy and obtaining by false pretence to the tune of N220million by the Economic and Financial Crimes Commission, EFCC. Mohammed and his co-accused – Dayo Jimoh and Victor Ochola \ were arraigned on June 22, 2016 on a 27-count for allegedly defrauding one Mohammed Jibrin, Managing Director/ Chief Executive Officer, CEO, Suntrust Savings and Loans Limited, with a promise that they could help him secure some government houses purportedly being sold by the Ad-hoc Committee on sale of Federal Government houses. However, the defendants issued forged offer letter and payment receipts to the victim, after he had made payment via bank drafts to various accounts belonging to the accused persons. In the suit, Jimoh, Ochola and Mohammed were charged as first, second and third defendants respectively. 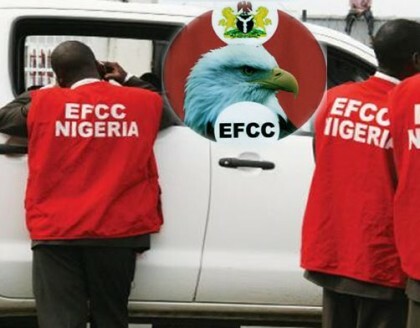 Justice Mohammed refused to admit the first defendant (Jimoh) to bail on the ground that, he had repeatedly proved to be unreliable in making himself available to the EFCC when granted administrative bail, a situation that had caused some of his sureties to withdraw from the matter. However, the judge granted bail to Mohammed in the sum of N10million with two sureties in like sum. The sureties must have landed properties within Abuja. The title documents of the properties are to be submitted with the Court Registrar, along with the international passport of the defendant. The first defendant is not to travel out of the country pending determination of the case. The two sureties are to submit two recent passport photographs. The case is adjourned to October 12, 2016 for trial.